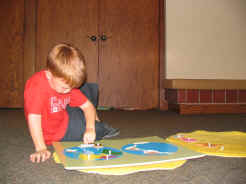 Little Acorns Montessori School offers a community classroom for children 2.5 to 6 years of age. Class size is limited to 15 children and an educator/student ratio of 1:8 is maintained as per the guidelines set forth in the Government of Ontario Day Nurseries Act. The program is offered to accommodate a variety of needs. Children may attend half-day (morning or afternoon) or full day programs. The Montessori program is a five-day per week program and it is strongly suggested that children attend consistently in order to foster a sense of security within their environment. Little Acorns follows the traditional school calendar and as such is closed for Christmas holidays, March break, and the summer. During the month of July a summer program may be offered pending interest. Activities in these areas are presented to children individually as they are ready. 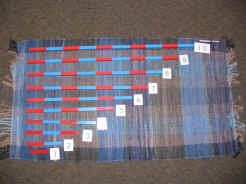 Once a child has been shown how to use materials, they are free to use it on their own as often as they wish. PRACTICAL LIFE - this area encourages both small muscle control and concentration in children through the use of materials that a child may recognize from his/her home such as pouring, stringing beads, grating cinnamon, and cleaning. 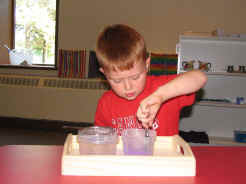 SENSORIAL - this area is dedicated to assisting children in identifying and classifying objects in their environment. 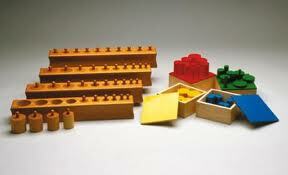 Children use concrete materials to learn differences in colour, shape, size and dimension. LANGUAGE - children are given the tools to learn the physical ability to read and write letters and words and also develop the cognitive ability to understand and communicate thoughts and ideas. ARITHMETIC - children are introduced to the concept of quantity and symbols for the numbers 1-100 and learn the four functions of arithmetic beginning with concrete materials and moving towards the abstract. CULTURE - through the use of various materials, children explore nature and their place in the world. Science experiments, history, geography, zoology and art are activities that are found in this area.